In 1933 Salvador Dali separated from his fellow Surrealist artists and moved to New York. This moment has traditionally marked the shift in his work from Surrealist, typically understood as groundbreaking and original, to ‘late’ which has become to be known as commercialized, pompous and redundant. 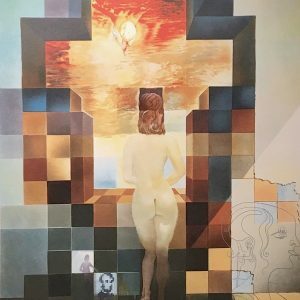 Often overshadowed by his early paintings, the latter half of Dali’s artistic career is finally receiving due attention by scholars and museums. 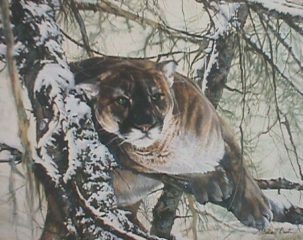 No longer considered watered-down commercialized versions of his earlier pieces, his late works demonstrate the true breadth of his oeuvre. 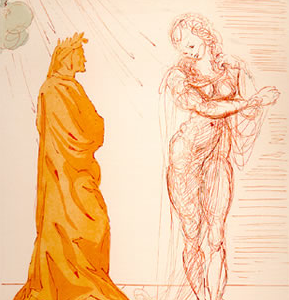 Dali began exploring religious themes in his art as early as the 1940s; these would become recurring elements throughout his artistic career. 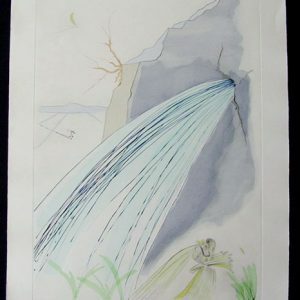 The portfolio, ‘Our Historical Heritage’ depicts events and historical figures from the Hebrew scriptures, rendered with the typical vigor and energy only found in Dali’s work. 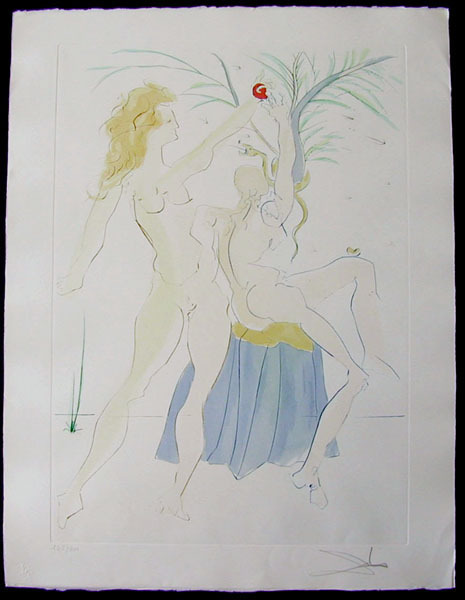 This work, Adam and Eve, is one of 11 original engravings from the ‘Our Historical Heritage’ suite, created in 1975. 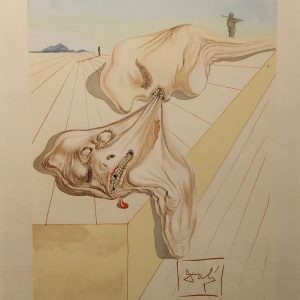 The suite represents the quality of Dali’s draftsmanship, illustrated with pochoir coloring that allows for a unique variation on each print.